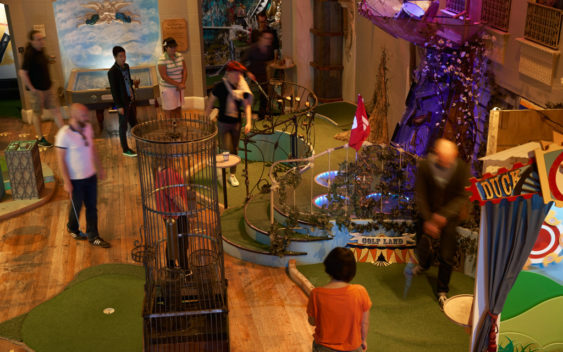 Urban Putt, SF’s fantastical, high-tech 14-hole indoor mini-golf course, is inviting all dads to play a free round of golf. This Sunday, June 17, Chef Boryta is rustling up some tasty brunch specials from 11 am until 3 pm. So come on down to Urban Putt, grab some brunchy Bar Bites and a round of golf, and Dad’s game is on us. (No proof of fatherhood necessary) – but you’ll need to buy a round for yourself.